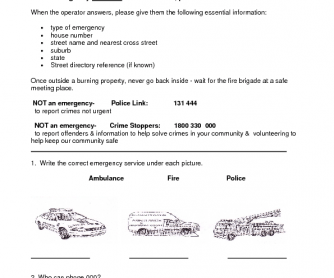 This sheet gives students information needed to help them make an emergency phone call for fire, police and ambulance. 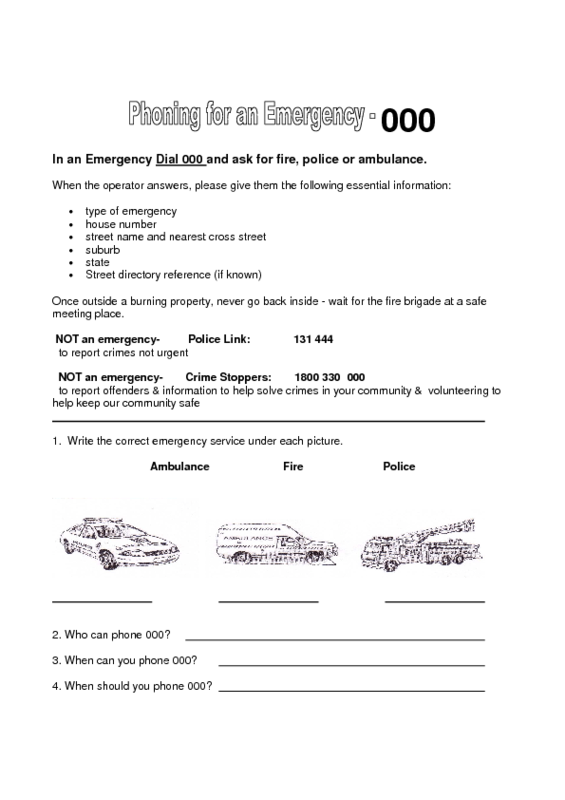 It also helps students understand the difference between an emergency and non-emergency situation and the other phone numbers available. The student has several situations presented so they can practice different phone conversations. You are free to change the phone numbers to your area as this was compiled for Australia.